Yes, the London Olympics were a triumph. However, there was one incident replayed on our TV screens which I found unsettling: the footage of Home Secretary, Theresa May, being booed by the crowd as she was announced as part of a presentation party. What is it that should attract or cause this sort of behaviour, by an otherwise good tempered crowd, towards a senior government minister? We elected them, they are, our ‘representative’ government, and whilst public life brings privileges it also brings a lot of hard grind. This spontaneous denigration by an otherwise euphoric and congratulatory crowd cannot be attributed just to a continued backlash from the MPs expenses fiasco nor current government economic austerity measures. We seem to be deeply dissatisfied with our current political class. This theme of the representativeness or not of our political class has been with me all summer. Firstly, because of a thought provoking conference I participated at the University of Exeter back in May. Then, secondly, the salutary experience on another occasion of being with a group of professional people outside of politics, some of whom, quite innocently, were completely unaware that MEPs were elected – life outside the political bubble is indeed instructive! The Exeter conference brought together academics, politicians, party administrators and civil servants to look at ‘representation’ in the EU. It was run through a two day series of discursive workshops. Some of the output will be published in due course and I will then include the link, but for me the recurring theme was of elected representatives having to speak and behave in a way anticipated and approved by their political parties and the media, with both being totally obsessed with national politics, meaning that the true ‘European’ story never gets told. Which makes it hardly surprising that huge segments of the population do not even know that they elect Members of the European Parliament. No wonder it is felt that the EU is out of control. I dread to think what reception any of the three EU presidents; Barroso, Shulz or Van Rompuy might have received at the Olympics or may be they would have been saved by the fact that no-one would have quite known who they were. Yet it has always been our way to point a finger at the allegedly undemocratic EU and think that we knew better. It is said that we, in Britain, are home to the ‘mother of Parliaments’ thus no one could question our democratic credentials. Well that is clearly no longer the case. Indeed it is perhaps highly likely that were we a new applicant for membership of the EU our democratic structures and ‘constitutional arrangements’ would fail us at the first hurdle. Just think: un-elected House of Lords. Need I say more? Even there our political system and politicians seems unable to address the obvious. In a related development for me in terms of discussing representation, I was really pleased during the summer to be elected to the Council of Unlock Democracy for its Eastern constituency for the next two years. It is the one non partisan organisation that is doing its utmost to raise the debate on this type of issue within our political life in particular Lords reform and lobbying transparency. Of course, the debate over Lords reform was a huge disappointment. However, I am not sure that I am so disappointed that we will not be moving towards the alternative system that was being proposed. The idea of more elected politicians from the narrow group that would come from a party list system in this country is horrendous. Whilst there maybe many good and genuine people who come through the party system, those who are successful are increasingly identikit career politicians who have gone from being political assistants or similar, with no other life experience straight to parliament. This cannot be representative and that is without mentioning gender or ethnicity. 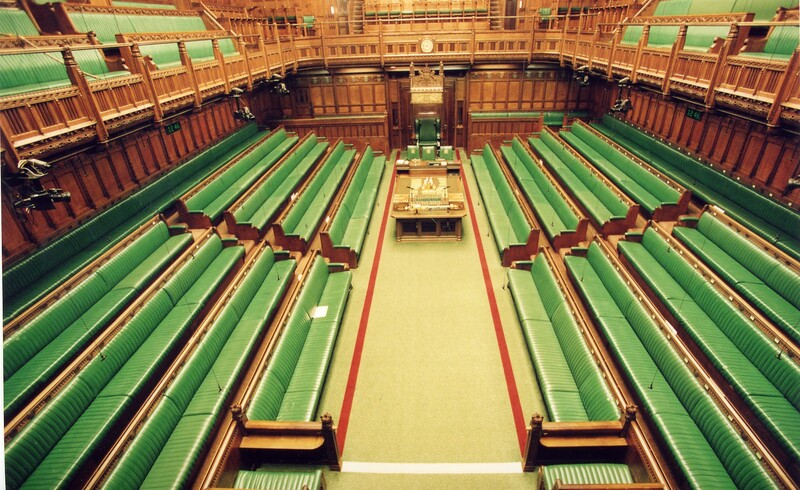 So how do we get a more ‘representative’ parliament that we are more at comfortable with (even dare I say proud of?) and which can heal the present disconnect? Well let’s think for a moment of something traditionally British: the jury system. The idea that twelve men and women can sit in judgement on a fellow citizen is something we continually uphold against ‘foreign’ ideas of a more judge based system of justice. So if we think the this is a public task we can give our fellow citizens on the basis of random selection, well why not choose at least a percentage of our parliamentarians on the same basis? If we trust one another to enforce the law, why not to make the law too? They would serve one term only and who knows it might do a lot to improve the idea that being a parliamentarian is both a public duty and a privilege? Which brings me neatly to my final thought. It is always good when you see that others are troubled by the same issues as yourself. So it was great to see the arrival on the scene last week of Democracy 2015 .They clearly have the same concern, in that we need to secure parliamentarians with life experience and who can again command public respect. I have been asked to examine in more depth the contribution I made at Exeter with at speech at Hull University’s Centre for European Union Studies later in the autumn which I have entitled ‘The Schizophrenia of the European Elected Representative’!